Not literally, of course; it’s still too cold for a mittful of raw oysters, shucked or otherwise. 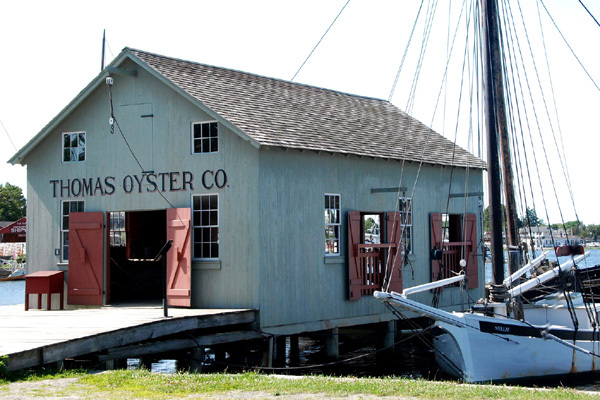 The Thomas Oyster Co. has long been my favorite building at Mystic for its name, and with more time, I can unearth the photo of two Thomases from years ago. Today I’m bound there for the ALHFAM Conference and two presentations, finally completed, but still nerve-wracking. Synopses soon, but now I’m bound away.